Wedding vows can be particularly meaningful when you write them yourself, but sometimes it’s hard to know where to start. But not if you start here! Our wedding vow writing tips, template and examples will help you organize your thoughts and express what’s really in your heart. Now say you love him/her. Nice work! On to the next part! Now think about some of the things you will do with your partner. After you have a rough draft of your vows following this template, you may decide to combine, add or subtract some things. The important thing is to have wedding vows that are meaningful to you both and that will suit your relationship and the future you’ll build together. It’s a good idea to start writing your vows early. You’re likely to become more distracted as you both get closer to the big day. Do what lots of professional writers do: compose a quick rough draft early on, without worrying whether it’s good or bad. Then you’ll have plenty of time to change and revise it to make it perfect. Most people who write their own wedding vows choose to read them to make sure they get it right. Your vows can be on a typed note card or written in a small journal and tucked into a pocket, carried along with a bouquet or carried by an attendant until you need them. Even if you choose to recite your vows from memory, you or one of your attendants should have a copy of them handy in case nerves get the better of you—and if that happens, everyone will understand! 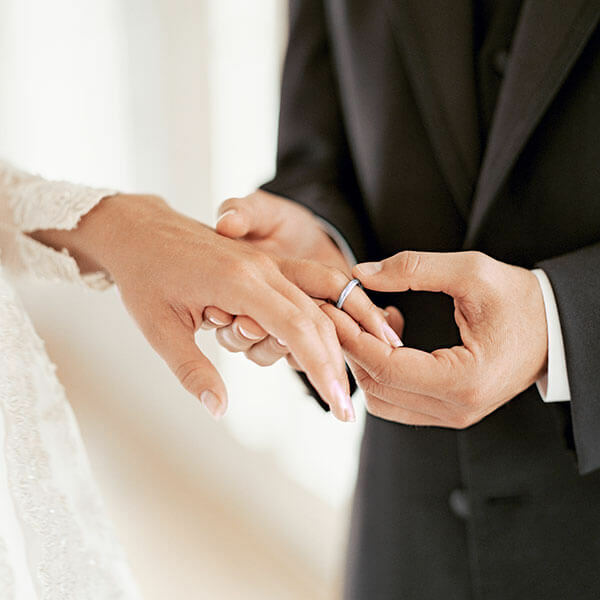 If you decide to say traditional wedding vows, a simple way to add a personal touch is to write your own declarations of love (see part 1 of the wedding vow template) to say before reciting the traditional vows.